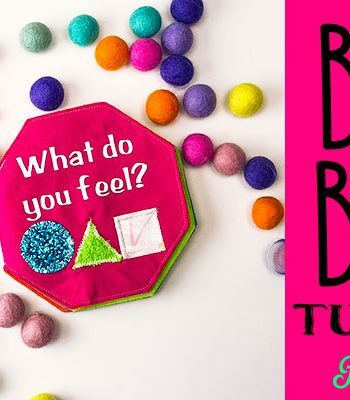 Quilting basics: How to get started quilting is a shows you an easy way to get into the fun world of quilting. 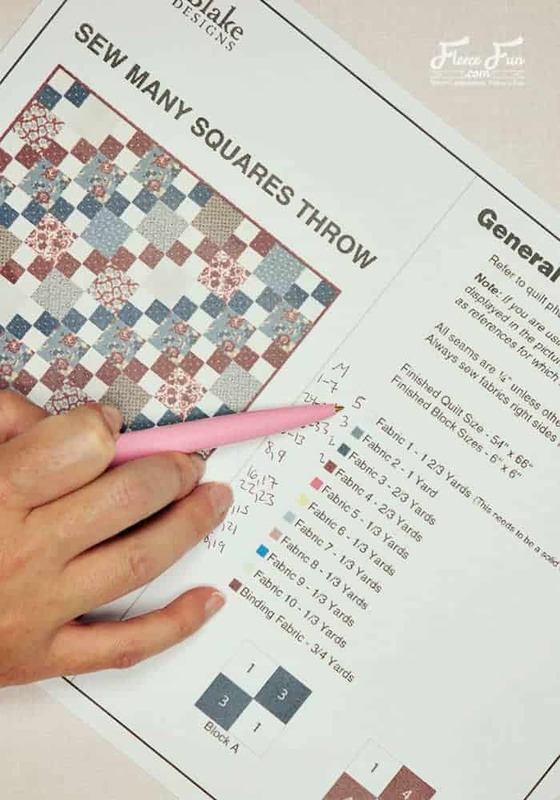 With this “quilt by numbers” approach a lot of the guess work and stress is taken out of the equation with this quick start guide to your first quilt. This post has been sponsored by Cricut, compensation has been given but the opinions are my own. I have to confess that quilting is something that I’ve been wanting to do more of. 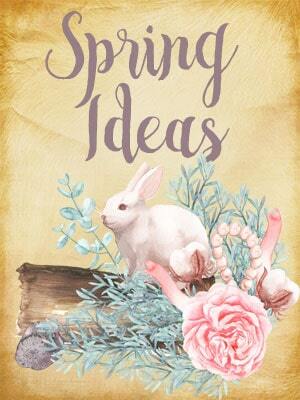 It is a true art form and a wonderful way of bringing comfort to others. Quilting can be very intimidating. 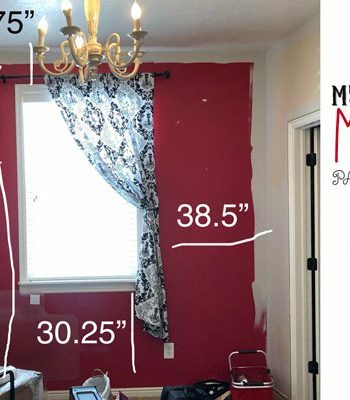 Figuring out which fabrics and pattern to use can be confusing for a novice. Then there is the precision cutting that you need to do to make the elements line up properly. 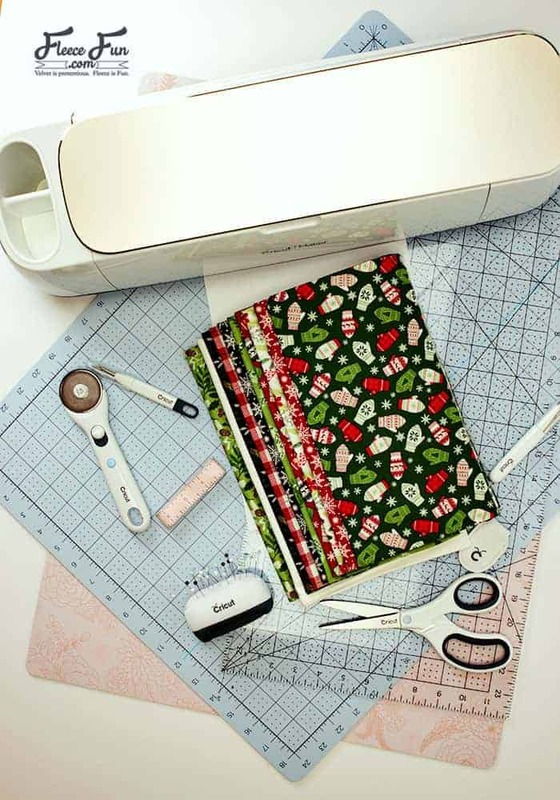 Cricut and Riley Blake have taken the a lot of the guess work out of quilting perfect for someone like myself that doesn’t quilt a lot. 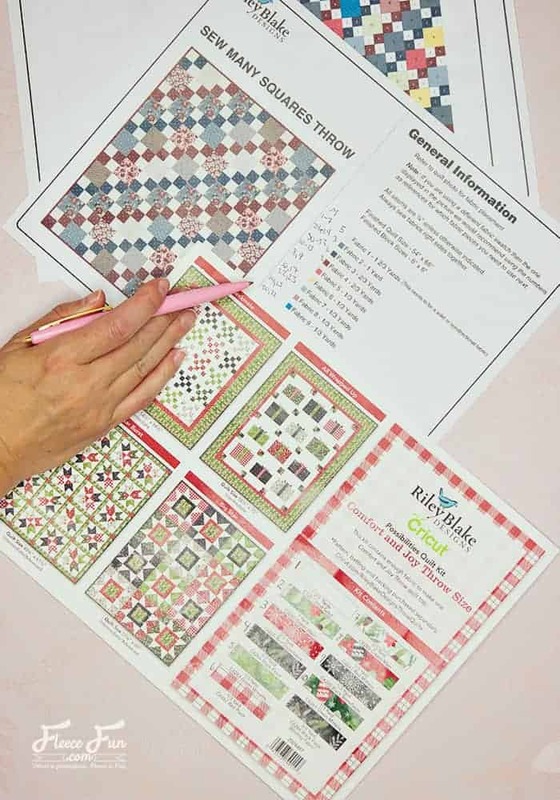 Riley Blake has these wonderful packaged fabric kits that take the guess work out of getting coordinating fabrics (and the right of amount of fabric) for a quilt. I chose to work with the “Comfort and Joy” quilt. I’m excited to have a cute quilt to pull out every year for Christmas! 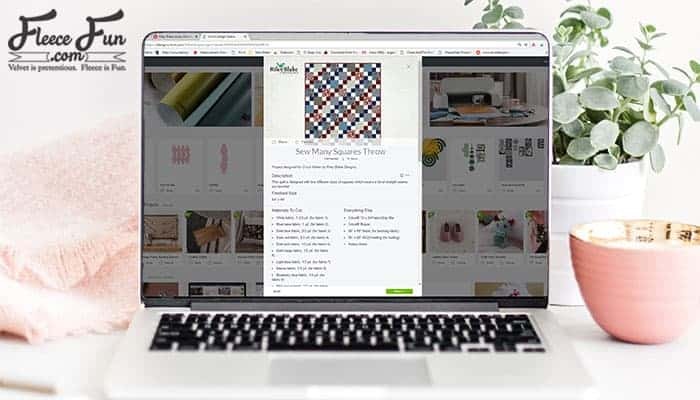 Riley Blake also has several quilt patterns in Cricut Design space that work with the packaged fabric kits. The design that I chose to work with is a “Sew Many Squares” pattern. It’s made of several squares of different sizes that mix together to make this beautiful pattern. It comes with clear instructions in pdf form that you can print up. I strongly recommend that you print is up so you can make notes on it while you work to help you keep track of the process. 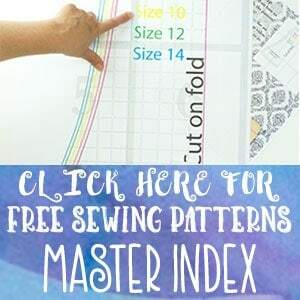 Once you have your fabric and quilt fabric chosen you’ll want a few more things so you can get started with your quilt. 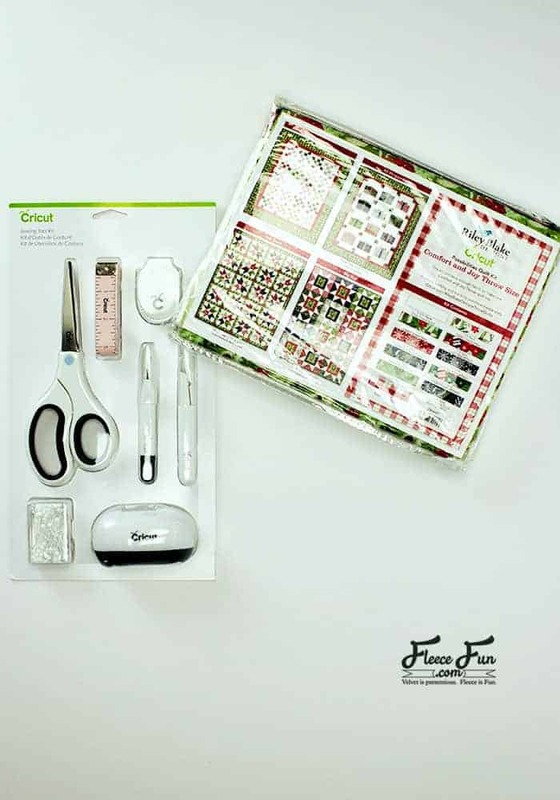 When it comes to success with quilting organization is key. To make sure that I could keep the pattern straight I took the paper in the Kit and labeled the fabrics the appropriate number so I could keep them straight. I then labeled the amounts I would need to go on the fabric mat and mat number that the Cricut Maker would cut it on. I double check my work to make sure that I have the right fabric to be cut at the right time. 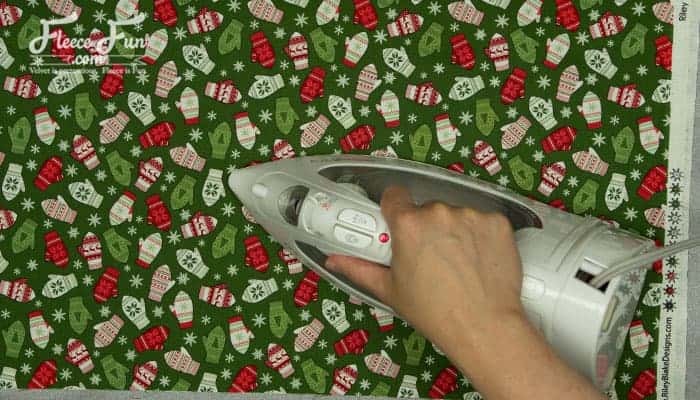 Next you’ll want to get all the wrinkles out of the fabric for triming it to size and cutting. Since it’s been folded up in the packing it’s a good idea to take a moment and iron out all of your pieces. Then using the handy ruler that happens to be the perfect size for the mat, I cut the fabric to the right sizes. 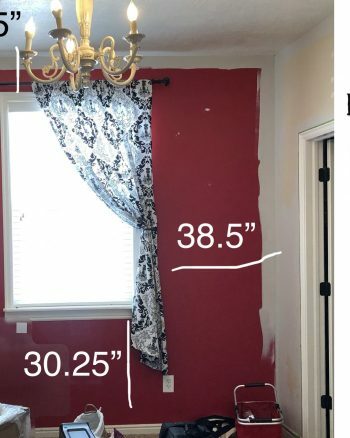 Note: In the pattern it says WOF – this stand for Width of Fabric. – meaning that you don’t cut the fabric to the exact size of the mat. Tip: Be sure to trim off the selvage. There will be excess that runs off the length of the mat. 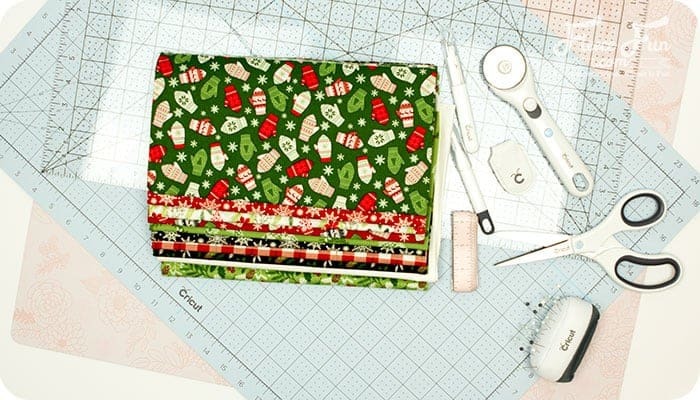 This is to conserve fabric and make it stretch ( you might even be able to get a second cute little project out of it!). Next part in this series I’ll get into cutting out the quilt top! 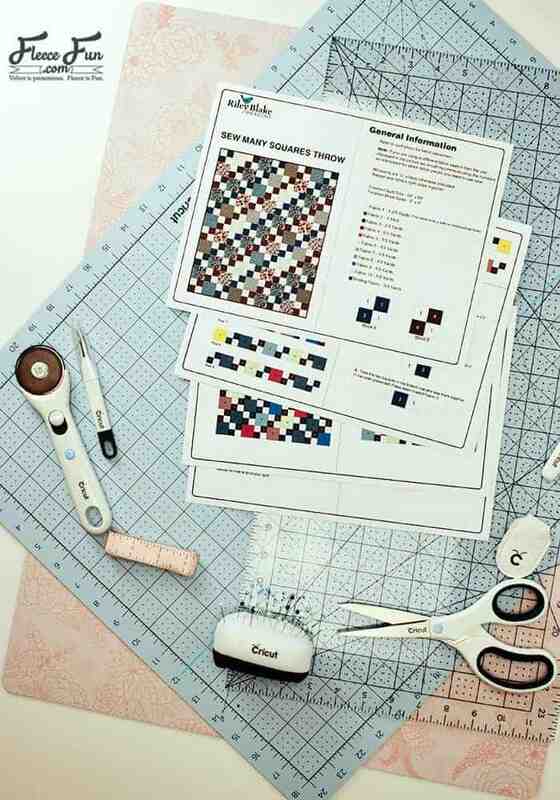 That’s how to get started quilting! 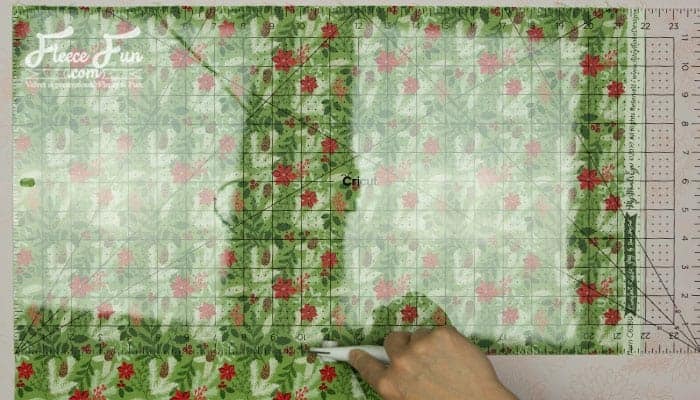 Ready to move one to cutting out all those squares? Here’s the post where I show you how to do that!